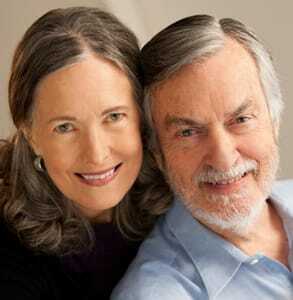 The Short Version: In 1980, Dr. Harville Hendrix and Dr. Helen LaKelly Hunt co-created Imago Relationship Therapy, a revolutionary therapy practice that has now been taught to over 2,500 therapists and educators in 53 countries. This enlightened approach to therapy focuses on improving how couples communicate with one another and resolving present conflict by healing past pains. Acclaimed couples therapists Dr. Harville and Dr. Helen have been happily married for over 30 years, so they understand what it takes to make a relationship last. Their focus on positivity and empathy has saved countless marriages. Today, Dr. Harville and Dr. Helen run workshops, write books, develop exercises, and share their insights to empower individuals to change their lives by changing how they give and receive love. Not even couples therapists are immune to relationship woes. Dr. Harville Hendrix and Dr. Helen LaKelly were on the brink of divorce after 10 years together, and so they tried every trick in the book to make things work. As a last-ditch effort, the two renowned experts in relationships and human psychology decided to try removing negativity from their marriage. They promised not to express toxic emotions, including anger, resentment, and criticism, in each other’s company. They went cold turkey, and it wasn’t easy at first, but now it comes naturally to them. These two well-educated couples therapists fundamentally rewired their brains by concentrating on expressing only positive thoughts and emotions. They changed their relationship for the better and became a happier, healthier couple. Now they encourage all couples to take the Zero Negativity Challenge and improve the way they communicate with one another. Dr. Harville said the zero-negativity pledge is one of the most effective methods they created to stop conflict before it starts. Dr. Harville Hendrix and Dr. Helen LaKelly Hunt have been married 32 years and have six children and six grandchildren. According to Dr. Harville and Dr. Helen, eliminating negativity in a relationship can bring people closer together because it allows them to create an environment where they can build trust and let down their guards. By expressing only positive thoughts, the couple can foster a sense of safety, reliability, and fun. Dr. Harville and Dr. Helen developed Imago Relationship Therapy in 1980 to address the unconscious motives that bring people together or drive them apart. Imago Relationship Therapy is a powerful approach to therapy based on empathy, commitment, and enduring positivity. Over the decades, Dr. Harville and Dr. Helen have devised effective strategies to help couples understand one another and strengthen their bonds. These acclaimed couples therapists have written 10 books about relationships and co-founded Imago Relationship International to spread the word about their theories and solutions. Dr. Harville and Dr. Helen have spent 40 years studying couples and researching relationships side by side. They’ve watched couples make the journey from conflict to hope and noted what specific actions led to those breakthroughs. The first step for these couples therapists is to identify emotional triggers and discover what past experiences have taught individuals to behave in a certain way in a relationship. According to them, it almost always goes back to childhood experiences with a parent or caretaker. 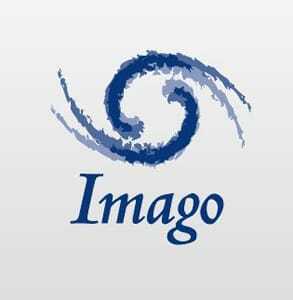 Couples therapists Dr. Harville and Dr. Helen developed Imago Relationship Therapy in 1980. Imago Relationship Therapy places a great deal of weight on unresolved childhood wounds. Dr. Harville and Dr. Helen theorized that people feel an unconscious drive to heal past pain by choosing romantic partners who have flaws similar to that of a caretaker. They’re attracted to people who remind them of the unresolved conflicts of their childhoods. If your parent was always late picking you up from school, for instance, you may end up feeling drawn to dates who are habitually tardy or neglectful. According to these couples therapists, people instinctively look for someone who triggers their foundational childhood memories because they want to right the wrongs of the past and heal their deep-set insecurities. Sometimes parents set poor examples of relationship-building and pass bad communication habits onto their children, who never learn how to be in a relationship without conflict. They need to recognize and overcome the trauma of their past to move forward — and that’s exactly what Imago Relationship Therapy helps them to do. Imago relationship therapists view conflict as an opportunity for partners to grow and recognize each other’s needs. They teach couples to look beyond what’s being said and listen to the underlying fears or desires. When couples can respond to those deeper motives — a need for love, validation, or comfort — they can heal their hurts in that moment and in the long run. Communication is the key. The objective isn’t to never disagree — it’s to never let those disagreements become more important than your love for one another. It’s about expressing your feelings without fear of judgment and listening to your partner without feeling threatened. Essentially, couples must learn to create a safe conversation where they both feel safe and valued. Couples in a conscious relationship know that connecting with another human being doesn’t come easy. They work at it. They must be willing to work at it every day and grow in love alongside one another. Dr. Harville noted the need for individuals to love with an open and trusting heart. He said the best advice he can give someone starting out on a new relationship is to ignore the suspicion that you might be hurt and embrace the suspicion that you might be loved. Going into a relationship assuming the worst can be a self-defeating attitude because that creates boundaries and smothers trust. Dr. Harville and Dr. Helen have had prestigious careers, appearing on “Oprah” 18 times and writing 10 books which have sold over 4 million copies. These experts offer valuable resources for couples as well as trainers. Their nonprofit organization, Imago Relationships International, has trained over 2,000 therapists and educators in their techniques and approach to relationships. They have an online directory where couples can find professional help endorsed by Dr. Harville and Dr. Helen. They give individuals the opportunity to learn from their experience as a couple and as couples therapists and then empower them to revolutionize how they interact with others. Their relationship philosophy has had a positive influence in many people’s lives. Imago Relationship Therapy can inspire couples to work out their communication issues, and it can motivate professionals to start a transformational workshop in their area. Based in Dallas, Texas, Dr. Harville and Dr. Helen also train people to train others in Imago Relationship Therapy. To date, Dr. Harville and Dr. Helen have trained 150+ workshop presenters in 53 countries. The participants in these workshops go on to organize and lead workshops of their own, effectively spreading the word and increasing the impact of Imago Relationship Therapy. Dr. Harville said he has heard about trainings going on in 170 countries and hopes to see that number continue to grow until they’ve reached every corner of the world. In 2017, the couple launched Relationships First to promote their tools and inspire people to take action to resolve conflict in their families and communities. Dr. Harville and Dr. Helen have produced an array of learning materials and relationship-building exercises in hopes of helping others heal and then become healers themselves. Dr. Harville and Dr. Helen seek to counterbalance the negativity, polarization, and vitriol in today’s society by reminding people to focus on what they love rather than what they fear. They’ve banished negativity from their own relationship and now hope to spread positivity on a global scale. Over the last 40 years, Imago Relationship Therapy has created a relationship movement that has saved countless relationships and marriages. 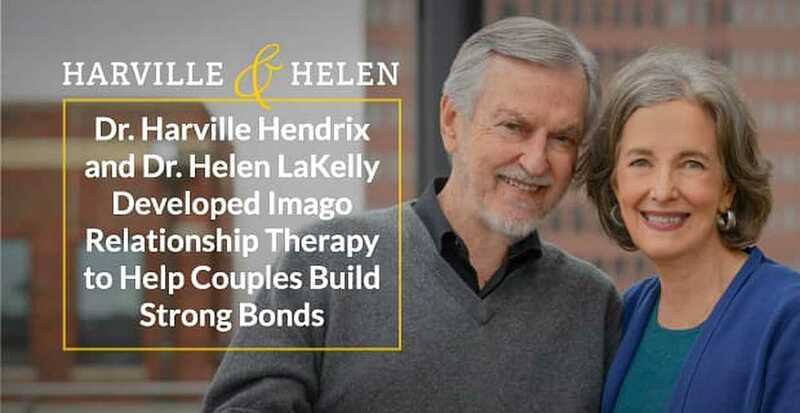 Whether it’s through their books, workshops, or presentations, Dr. Harville Hendrix and Dr. Helen LaKelly have made a positive impact on how couples relate to one another and pledge to resolve conflict through steadfast empathy and self-awareness.